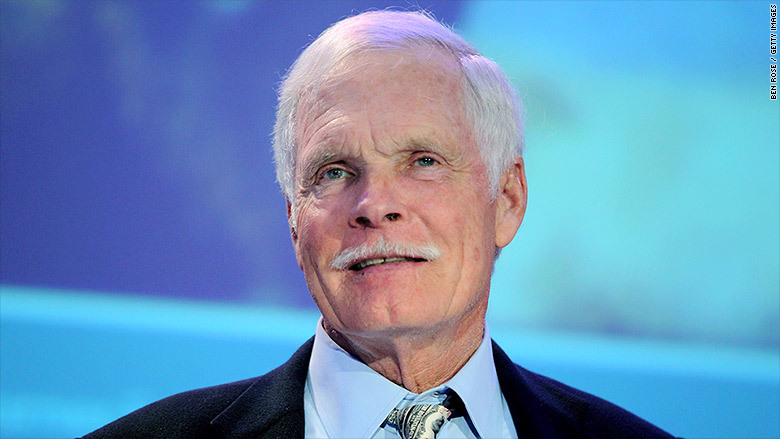 Ted Turner is battling Lewy body dementia, the CNN founder revealed in an interview that will air over the weekend. Turner told veteran newsman Ted Koppel that he has "a mild case of what people have as Alzheimer's." "It's similar to that. But not nearly as bad. Alzheimer's is fatal," Turner said in an interview for "CBS Sunday Morning." "Thank goodness I don't have that. But, I also have got, let's -- the one that's -- I can't remember the name of it." He then paused before saying, "Dementia. I can't remember what my disease is." A spokesperson for Turner confirmed the CBS report. Koppel conducted the interview, which will air this Sunday, at Turner's ranch in Montana. Turner said he feels "tired" and "exhausted" as a result of disorder. "That's the main symptoms, and, forgetfulness," he said. A true broadcasting pioneer, he led Turner Broadcasting System before launching CNN in 1980, ushering in a new era and laying the foundation for other cable news networks. In 1996, he sold CNN as well as the rest of Turner Broadcasting, to Time Warner. But his connection to the company faded in the years that followed, as he turned critical of Time Warner's doomed merger with AOL. Turner is also the chairman of Turner Enterprises, which manages his business interests in ranching and philanthropy. By 2003 he stepped down as vice chairman at AOL Time Warner, saying that the merger cost him "seven or eight billion" dollars. But his legacy at CNN continues to cast a long shadow. In 2015, Turner recorded a message for an event marking CNN's 35th anniversary. In the interview that will air Sunday on CBS, Turner said that he doesn't watch the news often anymore, but still checks in on the network he founded. "I think they're stickin' with politics a little too much," he said. "They'd do better to have -- a more balanced agenda. But that's, you know, just one person's opinion."